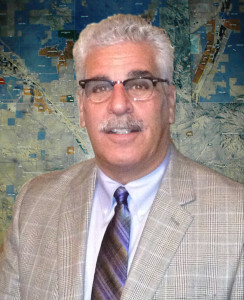 TUCSON REALTY & TRUST CO. is pleased to announce that Mr. Frank Arrotta has been named a 2016 CoStar Power Broker TM by CoStar Group, Inc. (NASDAQ: CSGP), the leading provider of commercial real estate information, analytics and online marketplaces. This annual industry award recognizes distinguished professionals in commercial real estate brokerage by highlighting the achievements of the firms and individual brokers who closed the highest transaction volumes in commercial property sales or leases in 2016 within their respective markets. Arrotta qualified as one of the top commercial brokers in Tucson based on the total leasing transactions he closed during the year. In order to be selected for this honor, Arrotta’s overall transaction volumes were evaluated by CoStar against other commercial real estate brokers active in the region, and subsequently ranked among the top brokers in the market. The complete list of 2016 CoStar Power Broker Awards winners can be found at www.CoStarPowerBrokers.com. About Tucson Realty & Trust Co. Since 1911, Tucson Realty & Trust Co., has sold more real estate in Tucson than any other company. We have a strong commitment to the community and we take pride in participating in its growth and prosperity. Tucson Realty & Trust Co. was incorporated the year before Arizona even became a state and is Arizona’s oldest real estate company. Displaying the original bullseye logo, our early ads proudly offered services in “Real Estate, Mines, Loans and Insurance.” Our achievements today are based on providing sound advice, superior service and an unsurpassed knowledge of the Tucson real estate market. Tucson Realty & Trust Co. specializes in the sale and leasing of retail, office, industrial, investment properties, ranches and land as well as corporate services. We are committed to excellence and we require our brokerage professionals to be experts in their chosen field. Tucson Realty & Trust Co. transacts more than $100,000,000 in real estate sales and leasing with the local business community each year. Our clients included many local firms as well as national firms. In 2005, 2010 and 2013 Tucson Realty & Trust Company was named the State’s Number One Commercial Brokerage Firm for Companies with 24 or fewer brokers by Arizona Business Magazine. Tucson Realty & Trust Co. has built a reputation on the integrity and professionalism of our brokers, which average over 29 years of experience. We encourage and support them in their active pursuit of higher education in real estate. An integral part of our corporate philosophy is to contribute to the community, which helps us prosper. Tucson Realty & Trust Co. brokers and management are deeply involved in supporting many social and civic organizations and volunteer countless hours to help make Tucson a better place to live. We believe in Tucson. We would like to share our knowledge with you. You will find we are sincere when we say, “No one serves Tucson like Tucson Realty & Trust Co.”.